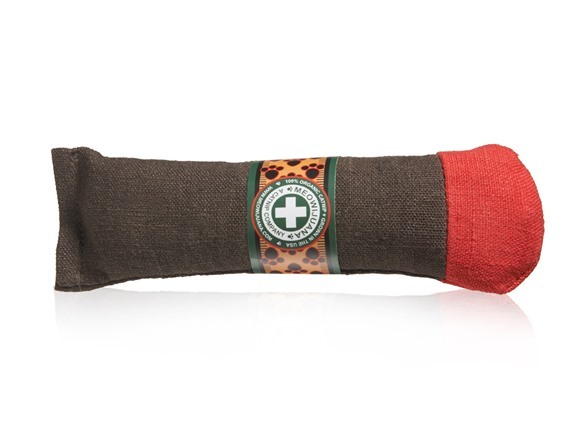 Finally, a freshly-fired spliff just for the furry friend in your life! This 7" long, 4.25" in diameter feline fatty comes packed full of our high-grade, organic Meowijuana! 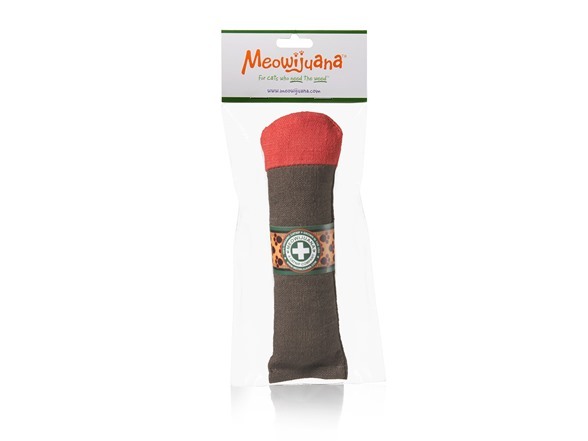 Makes a GREAT gift to pass to the left paw side! Do you guys feel like you're floating? 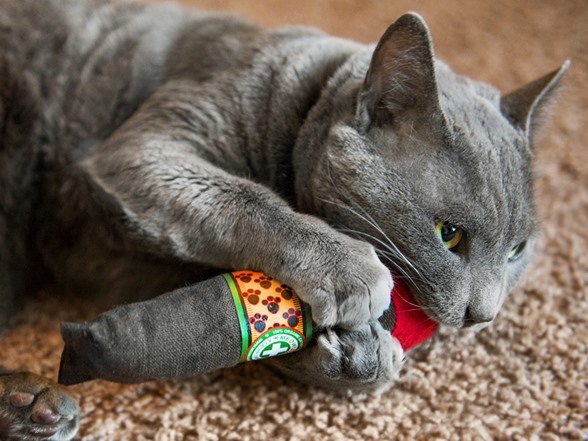 This 7" long, 4.25" in diameter feline fatty comes packed full of our high-grade, organic Meowijuana. 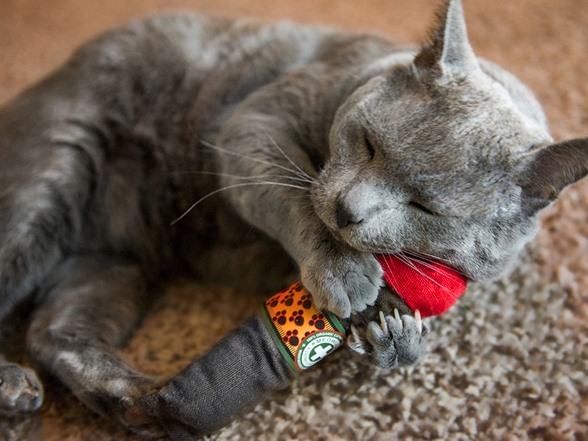 Note: Catnip can be given every other day to cats, but after a few minutes, its effectiveness wears off and your cat will need to be away from the catnip for a while in order to experience a reaction again. 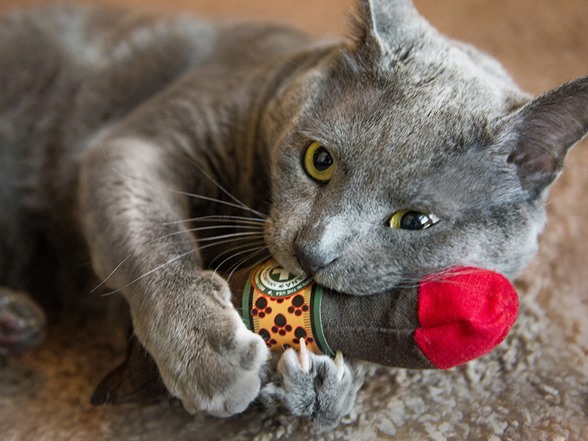 Catnip may not be well received by cats under a year old.